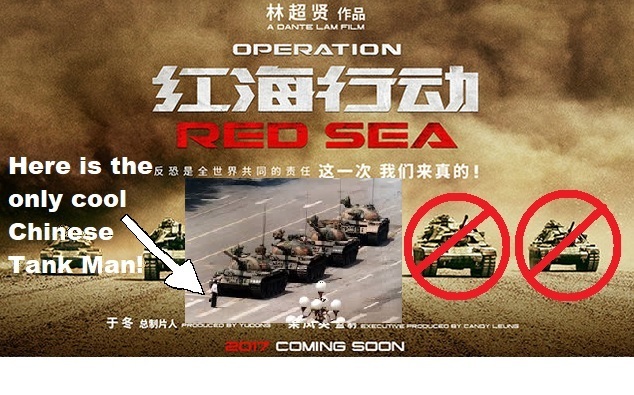 I was on Twitter tweeting for CultJam Productions (@cultjampro) and I needed an image for a tweet on the Chinese propaganda film Operation Red Sea. In five minutes, I have this detourned Operation Red Sea movie poster that shows Tank Man of Tiananmen Square as the real hero of China. Yes, this artwork is ugly, on the nose, and hasty but it does the trick.